Bryan Stevens has been birding since 1993, primarily in Northeast Tennessee. He has also birded in South Carolina, Florida, Utah, Idaho and The Bahamas. Bryan Stevens is an editor, writer and bird enthusiast. 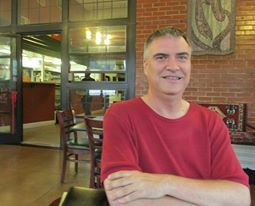 He is an editor and writer and has worked for five different newspapers and other publications in Northeast Tennessee. He is a former president of the Lee and Lois Herndon Chapter of the Tennessee Ornithological Society. His favorite birds include warblers, shorebirds and owls. To ask a question, make a comment or share a bird observation, reach him at ahoodedwarbler@aol.com. Hello, Alisa. Thanks for all your comments on my photos and the writings on birds. You do certainly live in a great place to see birds. I will be leading a morning bird walk (starts at 8 a.m. in parking lot at visitors center) at Sycamore Shoals Park in Elizabethton on Saturday, May 13. You’re welcome to attend the walk. I belong to the Elizabethton Bird Club, so you would always be welcome to attend our monthly meetings. Our next one is Tuesday, May 2, at 7 p.m. We meet at the Elizabethton campus of Northeast State on Highway 91. We have a Facebook page, too. Just search Elizabethton Bird Club. We promote some of our activities there. My memory’s not always great, but are you also married to a guy who works for the Wildlife Agency? Or perhaps it was Forest Service? Thanks for writing! I hope I was able to answer your question. Alisa, You might see if E-Bird lets you share audio files that people could listen to for identification hints. It seems like every spring I am re-learning the calls I thought I had learned the previous years. OK. Brother not husband regarding David. Haha. I did tell you my memory was probably faulty.